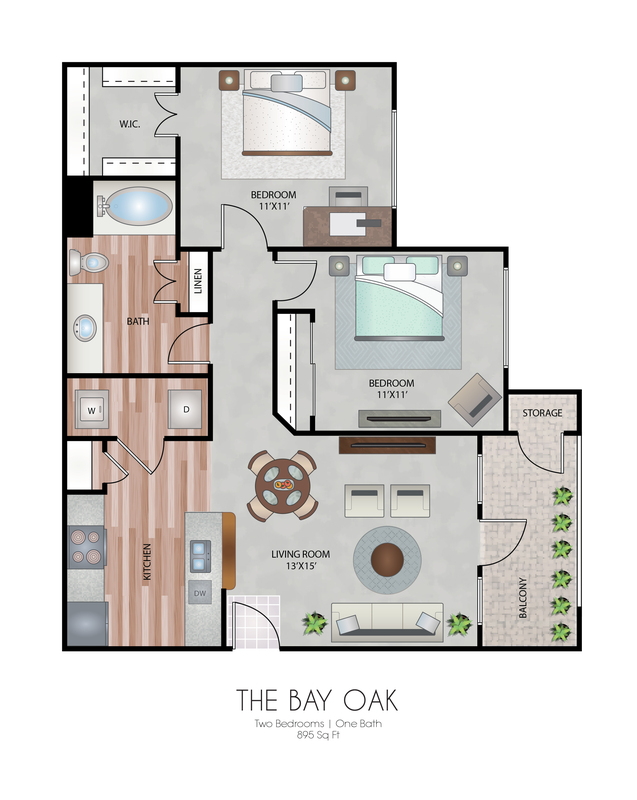 At Oxford at Country Club, we offer prospective residents a generous selection of eight unique floor plans. 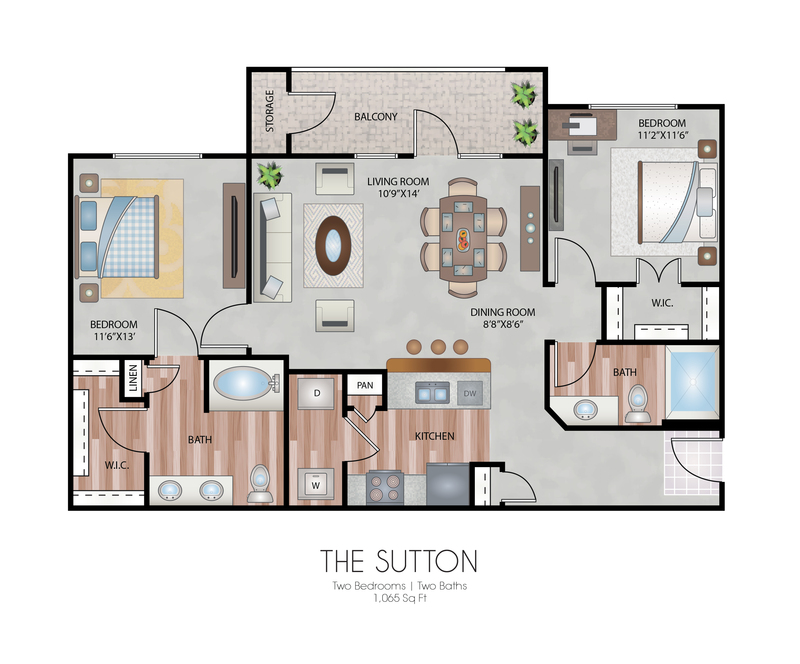 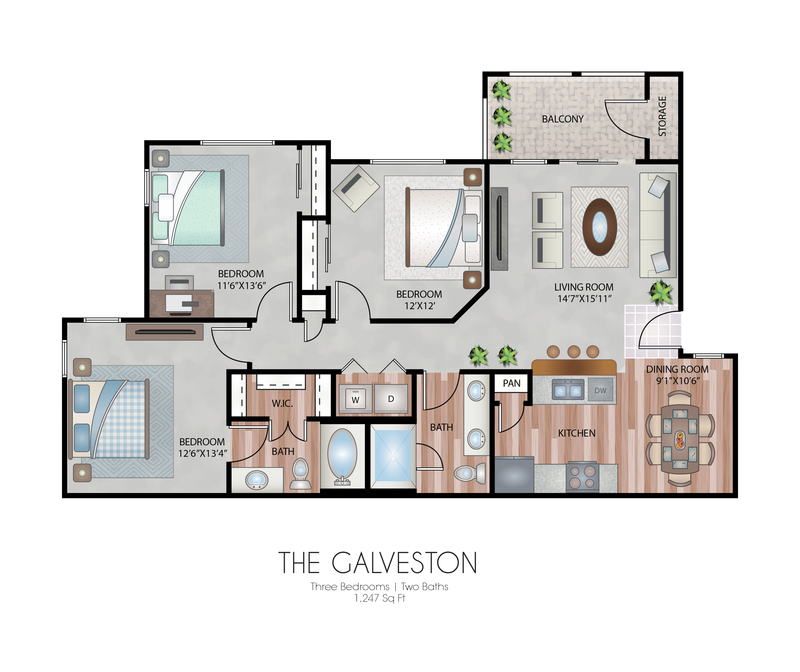 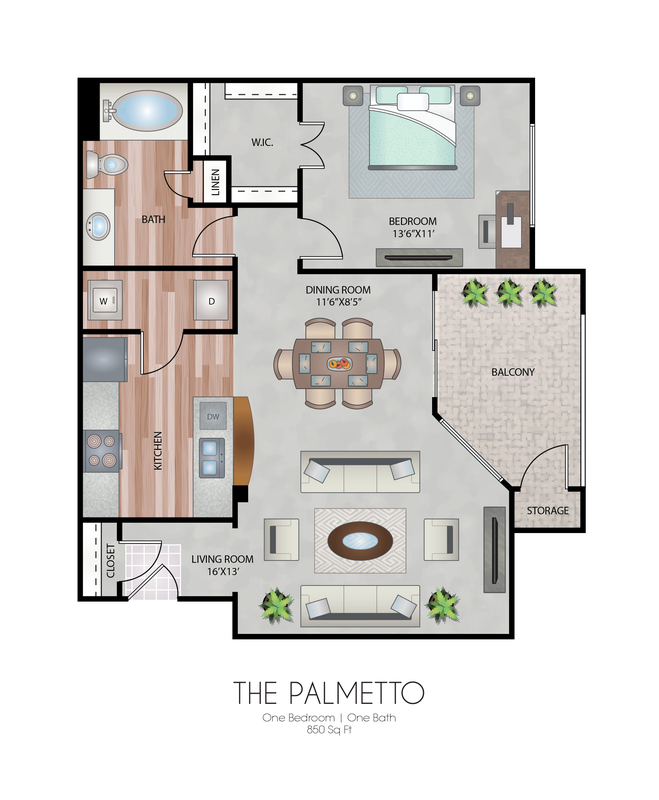 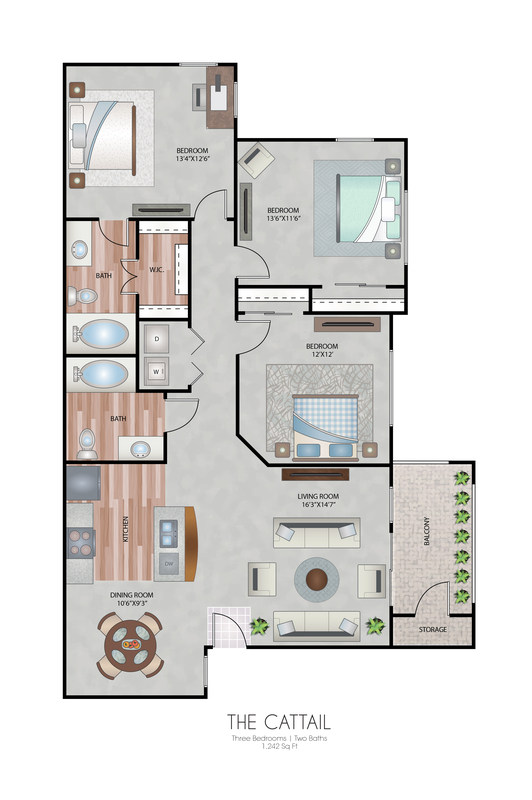 These floor plans vary in square footage and price range. 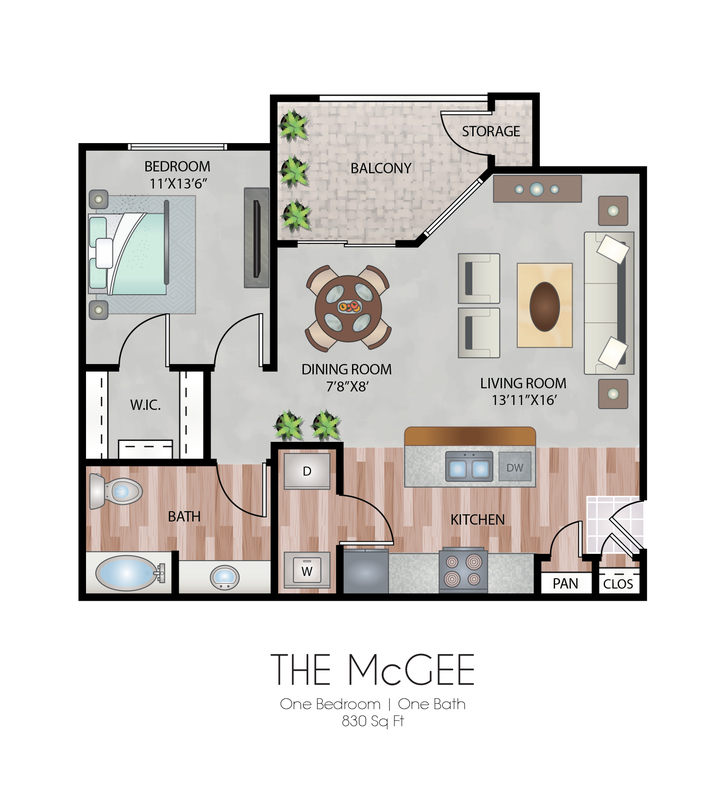 Every apartment home includes a spacious living room, dining area, kitchen, utility room, a private patio or balcony with storage, and the corresponding number of bathrooms and bedrooms. 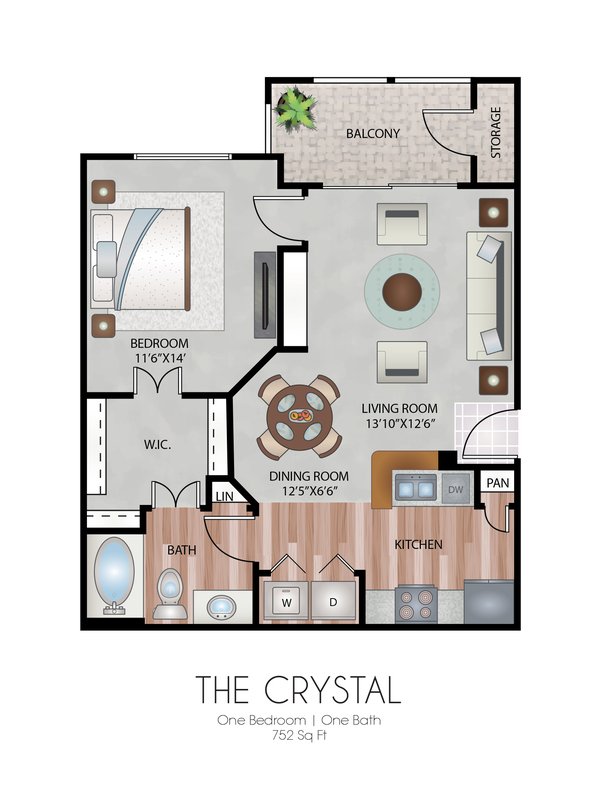 Endless high-end amenities are available with our dramatic nine-foot ceilings, decorative crown molding, handsome wood grain-like flooring, granite countertops, and oversized oval garden tubs. 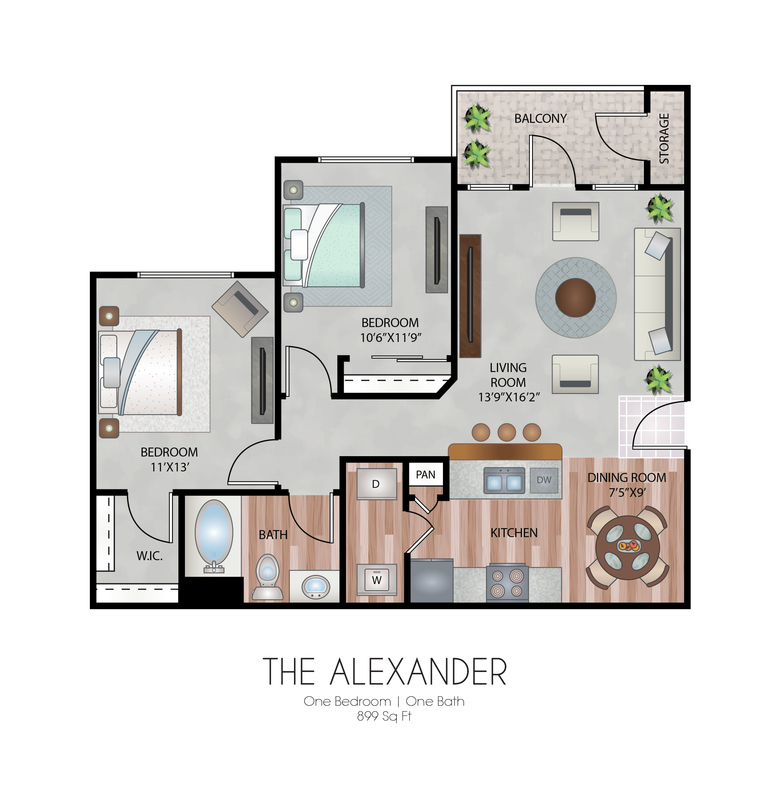 Our community serves as an extended living space where you can enjoy the resort-style swimming pool, a fully-equipped fitness center, and lushly landscaped courtyards and green spaces. 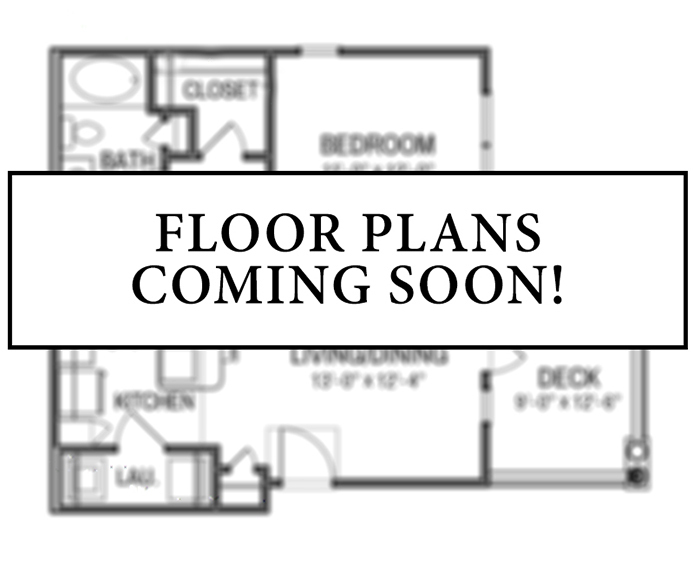 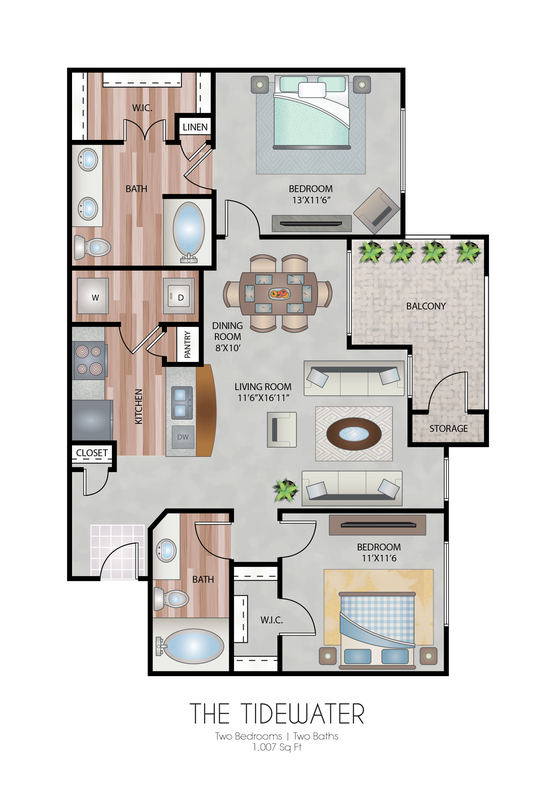 With our vast selection of floor plans, we have something for everyone at Oxford at Country Club!